My new favorite word is volleydork. The term describes an individual who is generally obsessed and knowledgeable about all things volleyball: World League rosters, collegiate coaching changes, professional league standings, high school rankings, rotation strengths and weaknesses, strategies and random stats. Volleydorking players and coaches often have a good volley IQ – another neat turn of phrase – due to their excessive information intake. FYI: You want people like this on your bench. If you are such a person, congrats. Now it’s time to overcome language barriers, apply your know-it-all for a good purpose and learn volleyball fluency (another neat term). Wait. What language barrier? Glad you asked. A language barrier is defined as any barrier to communication between people who are unable to speak a common language. In some cases, barriers are obvious. As one of two English speakers on her Italian professional team, Unet E-work Busto Arsizio, U.S. national team member Michelle Bartsch-Hackley struggled to communicate with coaching staff or teammates. To overcome the communication barrier, she didn’t learn Italian – at least not much. She instead became fluent in the language of volleyball. 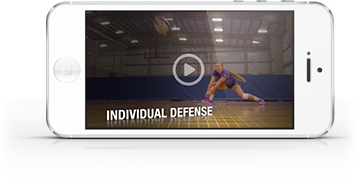 And her barrier-busting best practices are applicable to coaches and players at any level. Even if they all speak the same language. Less obvious, equally problematic language barriers exist on every team: processing style, learning style, speaking style, information reception style, tone preference, pace preference, topic preference or conversation setting. It all counts, and it all causes problems. Take a few seconds to learn about how Bartsch overcame these communication barriers and why she thinks these skills are valuable for any prep/collegiate coach or player. What’s it like to play for a team with an obvious communication barrier? Bartsch: It’s not easy and can be really frustrating; but everyone adapts to the barrier with time. Knowing that you won’t understand the person actually lays a great foundation for figuring out how to communicate. Because I don’t speak the same language, I have to intentionally create one through gestures, a few key words and tone. So, give us an example of how you communicate. Matches are difficult because it is extremely loud and not everyone can understand when I speak fast and need to get information out. I’ve adapted a bit and usually only speak with my libero who can understand me. She will then spread the message to the other players. Practices are easier to communicate because we have time to explain ourselves. The coaches and I have learned that it’s easiest to play charades. Showing and doing the actions are the best ways for everyone to understand. How did navigating this communication barrier help you improve as a player? It forced me to communicate in a way that was comfortable for the other person, not myself. So often we use words that make sense to us – not necessarily to the other person. Most of my career I’ve spoken the same language as my teammates. But that doesn’t mean we shared a common language. I can clearly think of times that I was saying things in a way that made sense to me but not how they would be best understood or received by my teammates or coaches. My international experiences have helped me be intentional about finding a common language with my national and international teams. And the experiences have also reminded me to speak slowly, which is hard for most Americans. What did you learn from this situation that you wish you knew as a prep/collegiate player? Communication barriers – especially overseas – have always been frustrating for me. I learned a lot from experiencing different cultures and different ways of communicating. I’ve found that in most communication settings, patience and intentionality are key. Debbie Kniffin, a former program director for the Badger Region Volleyball Association, was a middle blocker at Iowa State from 2008-11.